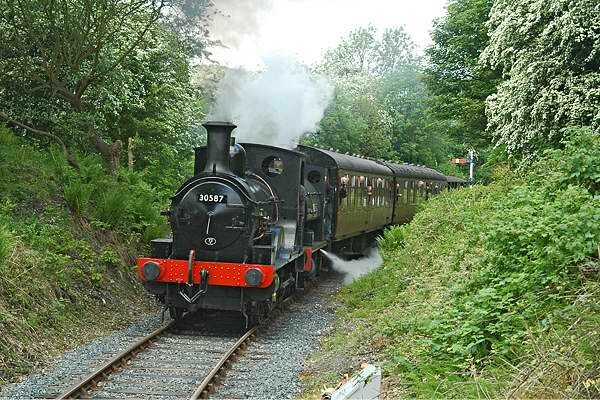 © Geoff’s Rail Diaries 2011 Last year, to celebrate its 21st anniversary, the good folk at Horsehay hired in a visiting loco - pannier tank 6430 from Llangollen. Fired by the success of that event, a repeat "star attraction" this year would be the rather fine Beattie well tank 30587. 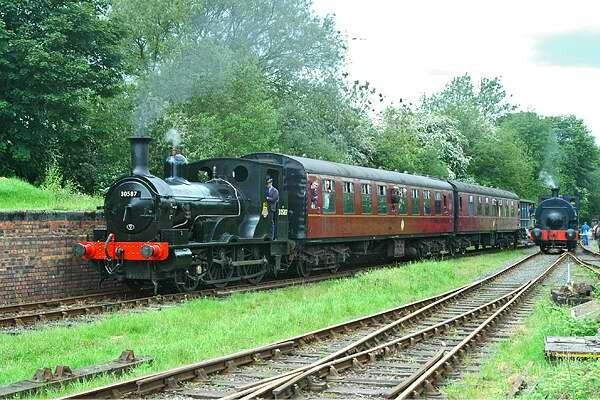 I'd met its sister 30585 (running as E0314) at Quainton Road nearly 30 years ago - but had never seen this one. 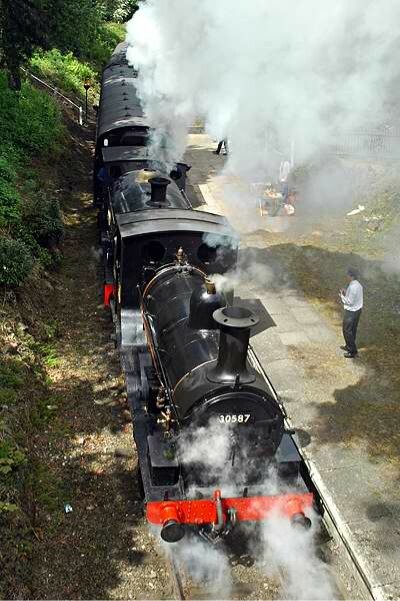 The pair need little introduction - remarkable survivors of a class dating from the 1870s, three lived on to the early 1960s on the Wenford Bridge branch in Cornwall, by virtue of their short wheelbase and low axle loading. 30587 last worked for BR in the early 1960s. As part of the national collection (it's the property of the NRM) it spent some time stored at Preston Park. Later, it moved to the Dart Valley for static display. And then, about four years ago, it went to the Flour Mill works in the Forest of Dean, where it was finally restored to working order - since when, the grass has definitely not grown under its wheels... 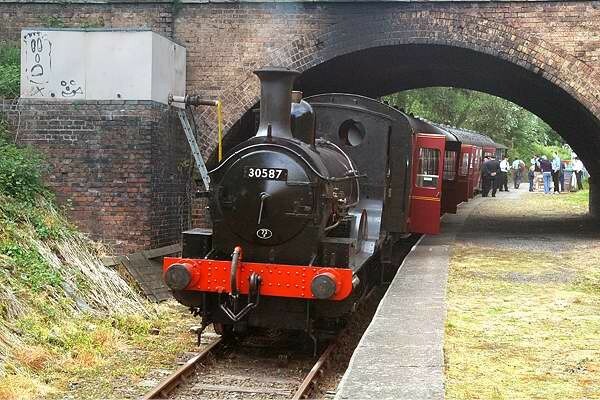 This being the "Steam Gala", there were other things going on. 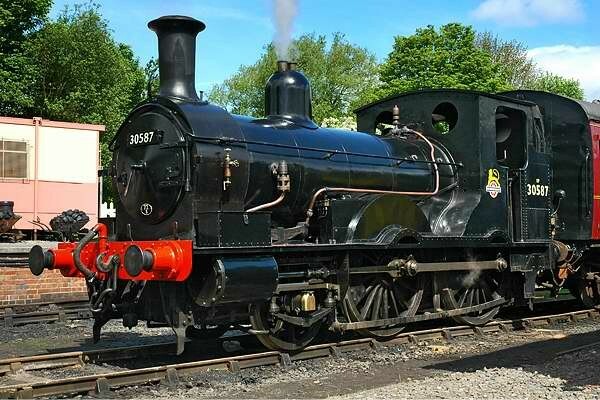 Rocket, the resident Peckett, was in action, along with ("Steam" did we say?) the Leyland railbus, and possibly other things. I concentrated on the visitor. 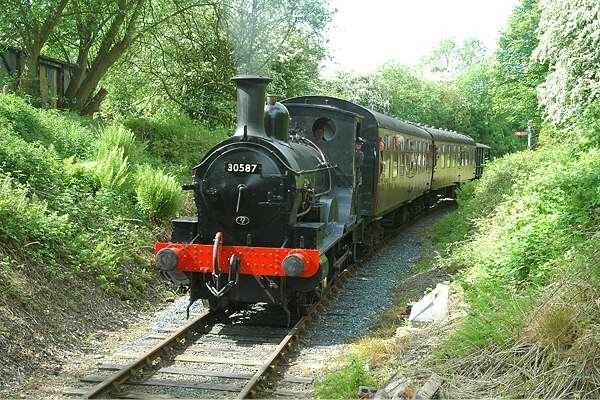 Link: Telford Steam Railway 30587... ...a selection of clips. At first double headed with Rocket (interesting exhaust sounds! ), then on its own, 30587 is seen in action on the steep gradient out of Horsehay and Dawley station.